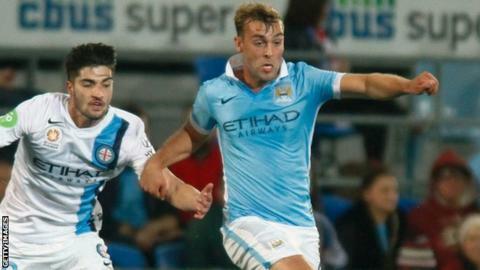 League One side Doncaster Rovers have signed Manchester City midfielder James Horsfield on a 28-day loan deal. Horsfield, who can also play at right-back, signed his first professional contract in 2014 but has yet to make a competitive appearance for the club. The 20-year-old could make his Football League debut when Doncaster host Swindon Town on Tuesday. Rovers are 22nd in the League One table, with seven points from their opening nine fixtures.